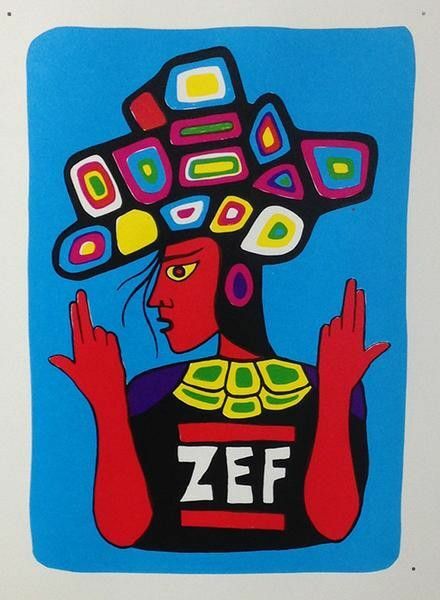 Christian Chapman's solo exhibition Gaa-mazinaateseg & Animikiig (translation ‘Television and Thunderbirds’). 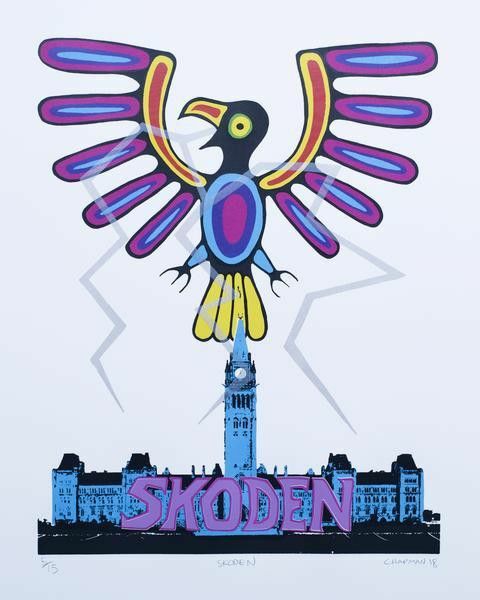 The thunderbird is a legendary creature that is regarded within Anishinaabe culture as a supernatural being of power and might. The Anishinaabe believe thunderbirds were created by the trickster Nanabozho to combat the underwater spirits and punish human beings who broke moral code. 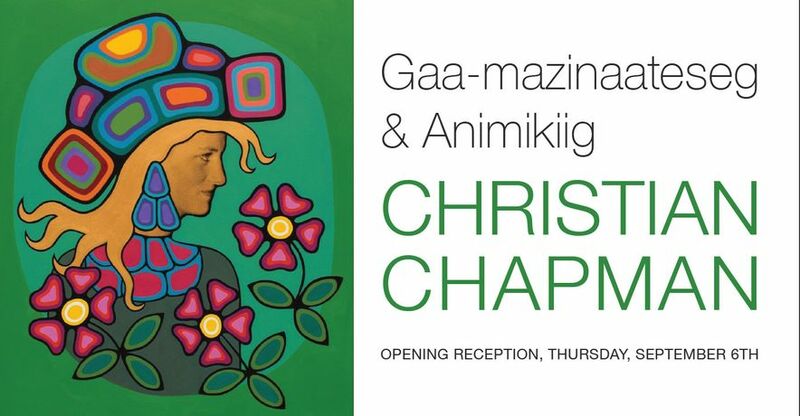 Translated from Anishinaabe as ‘Television and Thunderbirds,’ Gaa-mazinaateseg & Animikiig celebrates and critiques pop culture figures that the artist grew up watching, such as those of André the Giant and Princess Diana, while exploring the teachings and stories that helped shape Chapman’s identity and his artistic practice. The paintings and prints within Gaa-mazinaateseg & Animikiig focus on Chapman’s memories of his grandmother, Angelique, with whom he lived until her passing. The featured works serve as his own recollections of the time he spent with her, be it through listening to her storytelling or watching televised programs with her.